Our accountants in London have gained a reputation for the go to when it comes to accounting for Estate Agents in the city. Here’s why…Cottons Chartered Accountants work with businesses across most sectors but many of our offices have specialisms too; in Rugby there’s expertise in farming and agriculture whereas some of our Partners in Northampton work with many doctors and locums so, are well versed in that area. Our accountants in London, however, really do have something to say about their specialist subject as their expertise in accounting for estate agents goes from strength to strength. In case you didn’t know, in 2017 we launched our newest office in London, our first in the South East. 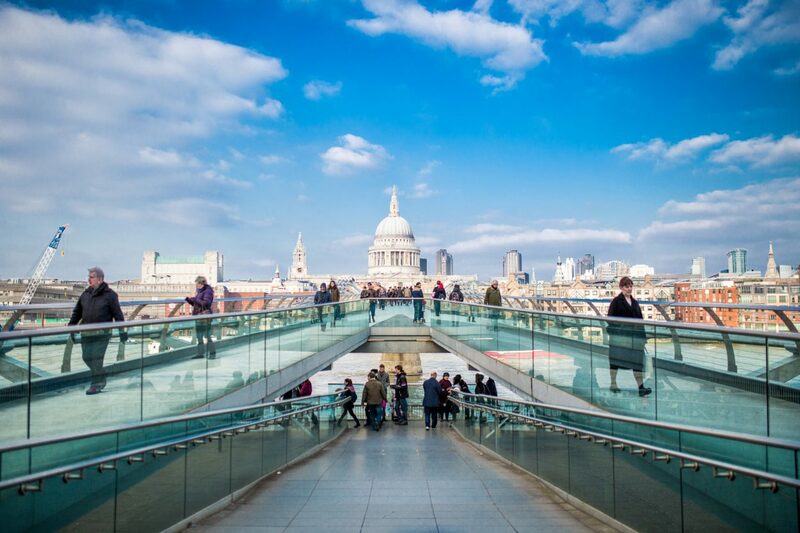 Since its opening the office has grown rapidly, supporting all types of businesses in London from fin-tech start ups to huge commercial brands. There’s no doubt that they are gaining a sterling reputation but, amongst the exciting developments, one profession is truly embracing the skill set of this new team. Which one? Estate Agents. Estate Agencies are famously fast paced and admin heavy with high volumes of transactions to manage, staff with ever changing commissions to pay, deposit holding accounts to take care of and much more so, it’s easy to understand that they need reliable support and rigid organisation to stay on top of their day to day activities. Cue Cottons. Lead by Ollie Warne ACA, our London office has a wealth of experience in accounting for estate agents. Ollie has long standing relationships with high profile and well-established estate agents alike, including Wilfords, Mark Tunstall and Hunters Shoreditch, he evens supports top rated London Inventory Clerks, Assist Inventories, so sees the industry from numerous angles. You can check out the article he’s prepared for Assist on tax law changes affecting the industry, it’s a must read if you are in the industry. His extensive experience in the sector means that he has gained a reputation as a go to for businesses operating in it when they need support. Over the years Ollie has recognised what estate agents need and, using his knowledge of bookkeeping programmes and accounting expertise, developed unique systems using cloud based, easy to use software to take the agencies he works with out of admin hell and into paper free utopia. The solution is to use systems that are specially designed for estate agents. Ones that talk to each other to ensure there’s no duplication required when it comes to admin, freeing up agents’ time thus allowing them to focus on what they do best. Since the launch of our London office, Ollie and his team have worked with a number of estate agents to overhaul their systems, help them get on top of their cash flow and forecast for their future, all of which provide them with the organisation they need to get on with their jobs with clarity and purpose. They are even assisting Estate Agents with their ARLA Propertymark Accountant Reports, an annual requirement for reputable agents to confirm that money held by them is being transacted within the ARLA ruling. If you are an estate agent, looking for an accountant in London then get in touch with the office now to tell them what you need and hear how they can help you. From slick management accounts to help you to stay on top of your turnover and expenses to bookkeeping solutions that will save you time not to mention make your VAT reporting more penthouse pleasurable than box flat painful. Find out more about the office or request a call back now. The beauty of the Cottons network, with over 70 staff across 4 offices, is that our chartered accountants and tax advisors are able to share their resources and support businesses of all types no matter where they are in terms of location. If you aren’t an estate agent but do need help with your business’ tax and accounting matters, then find your local office and talk to them today. From corporation tax and self-assessment to business planning and even audits, Cottons can help.